PTSuks Uncanny World: VIDEO: SIMCITY COMING IN 2013! Is it 2013 yet!?!! VIDEO: SIMCITY COMING IN 2013! Is it 2013 yet!?!! Something that took me completely by surprise, and has me giggling like a little school girl, is the announcement at the GDC, (Game Developers Conference) in San Francisco this week, of SimCity 5! Hehehehehe! 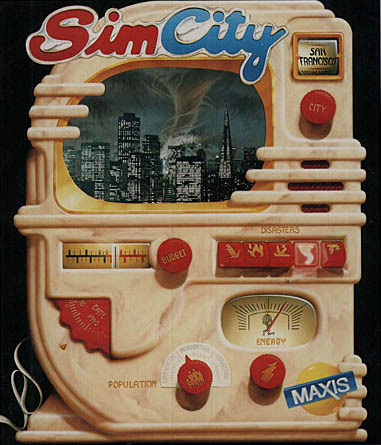 Its been a long time coming since they made a true SimCity game. While SimCity Societies was branded with "SimCity" it was essentially a failure and left you wanting more, something I detailed here. SimCity 5 looks like a back to the basics game, and with today's processing power it's going to be absolutely gorgeous! According to the press, the graphics will certainly be upgraded and I guess it'll have a "green" theme to it, which will be interesting. Hopefully this time around they will include true multiplayer and allow you to broker deals with your friends playing in real time. I've been disappointed in past games where they just allow you to download "snapshots" of other peoples cities but nothing that actually allows you to interact with your friends directly. If they could somehow combine SimCity with Civilization that would be ideal for multiplayer SimCity. Alright, enough talk. Check out the trailer! Maxis shut up and just take my money! The only downside to all this news is that SimCity is going to be released in 2013!!?! What! I've gotta wait how long?! I'm totally jones'n now for some SimCity action. Bah!, I think I've got Simcity 4 on this computer someplace!